Detroit-based retailer Burn Rubber will be next in line to collaborate with Reebok on an Instapump Fury. Taking inspiration from its New Balance 580 project from 2010, which was inspired by Detroit&apos;s car industry, the vintage runner is outfitted in a mostly grey color palette—a nod to autobody shops. Its light grey base is equipped with perforation details, while dark grey covers its signature inflatable cage. There are also hits of reflective accents throughout and an orange interior lining. Underneath its white Hexalite midsole is a gum bottom outsole, which was also present on Burn Rubber&apos;s 580 collab. 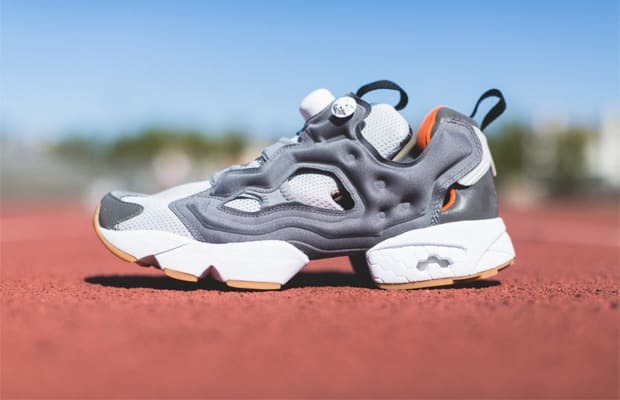 The Burn Rubber x Reebok Instapump Fury will drop next Saturday, July 19, at Burn Rubber and select Reebok retailers.